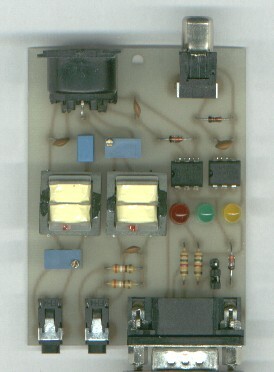 All three interfaces presented on this page employ galvanic isolation of the transceiver from PC computer. Audio paths are separated by transformers, optocouplers serve to separate the digital paths (PTT and RTTY keying). 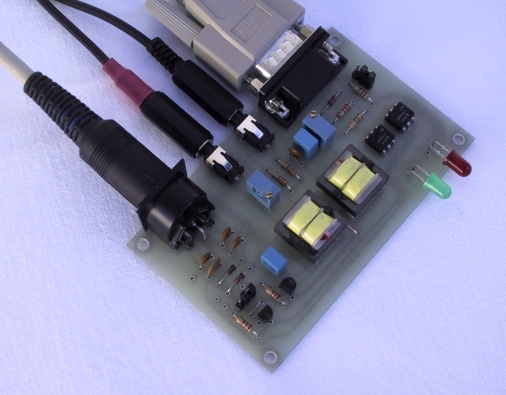 Requires only one cable connection to the ICOM's 8 pin ACC(1) or ICOM's 13 pin ACC connector at the back pannel of the RTX for FSK RTTY, AFSK RTTY, PSK31 and similar modes. Requires a connection to the 13 pin "ACC.2" connector at the back-pannel of the transceiver for S.B. modes and additional connection to the "cinch" for FSK RTTY keying. Connects both S.B. audio paths to RTX's mic. and speaker connectors only. 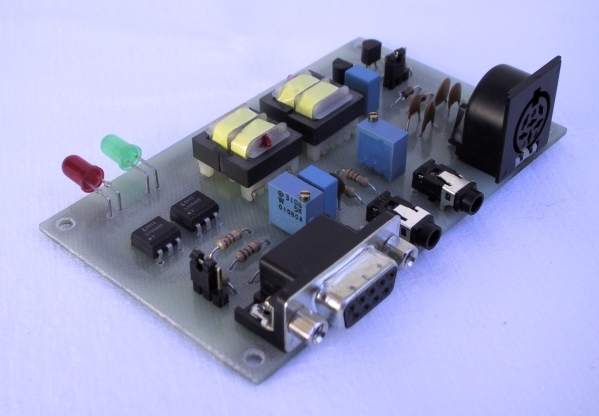 This intereface uses transceiver's internal VOX circuit for RX/TX switching.